One of the most important aspects of our space is our rugs. I love Rugs USA and was so lucky to have them sponsor me/Maquette especially when we were moving into our new space. They have the most incredible collection of rugs with so many patterns, materials and styles. 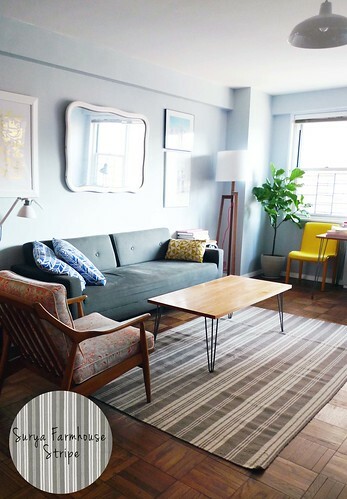 I chose the Surya Country Living Farmhouse pinstripe for the livingroom (ironically since we’re super urban…they should call it “city living”). It’s wool and so soft under our feet. 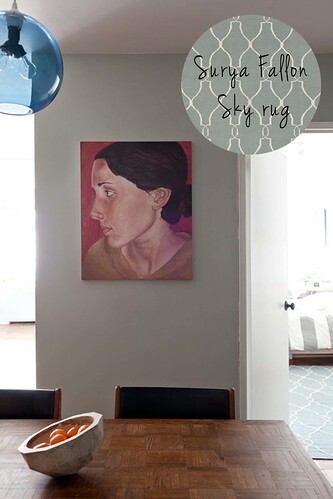 For the bedroom/my studio, I chose the Surya Jill Rosenwald Fallon Sky rug. It’s handwoven wool and we love it!